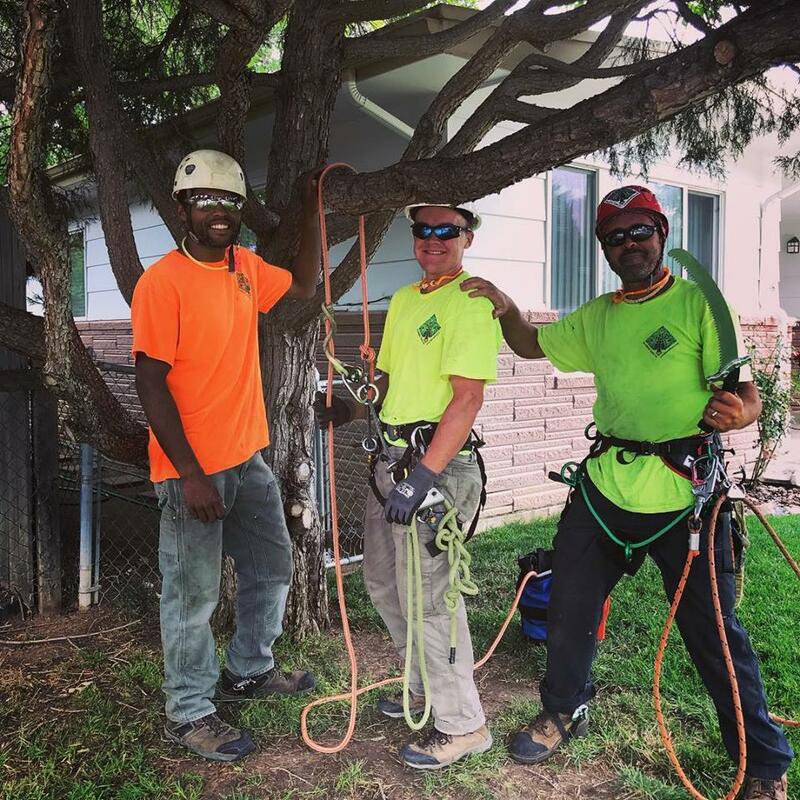 Diamond Tree Company of Northern Colorado and based in Fort Collins is a family operated tree service business owned by Brett and Angie Thomas. We have served the front range of Colorado from Boulder to Fort Collins including Loveland, Longmont, Windsor and Greeley for over 15 years. Brett is an ISA Certified Arborist and rest assured you get his expertise on every job. From trimming trees to the removal of large and dangerous trees and everything tree related in between, you can depend on Diamond Tree Company to be the "jewel" of the tree service industry in town. We have a skilled corps of tree cutters and climbers that safely rope branches and logs down to the ground when necessary. We always respect your wildlife, pets and your property. We have even rescued a cat or two during our work. All the brush and wood products are chipped and hauled away to be completely recycled. 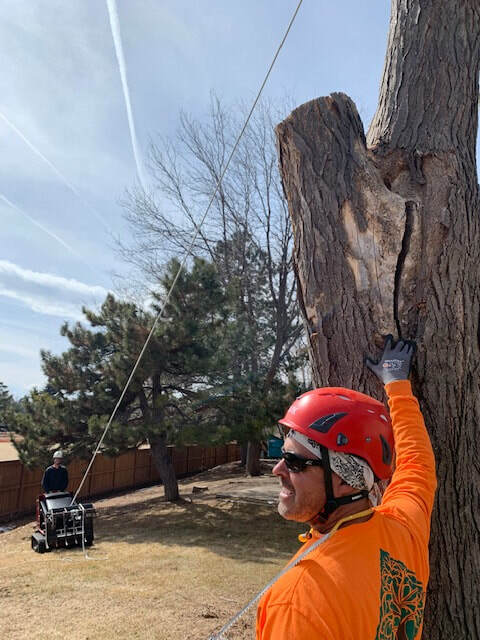 Our crews take great pride in our work and the clean up job is just one of the reasons are customers give us superb references(link) to their friends with tree service needs. We have earned an excellent reputation and stand behind our work 100%. With our friendly attitude and years of experience, you can be confident that we will do an excellent job for you. Brett answers all his calls personally so you get to talk to an expert right away. Sometimes, however, the noise of the equipment or the fact that he is 40 ft above the ground make it a tad difficult to get to every call when it rings. Please leave a message and he'll get back to you in no time! We pride ourselves on awesome customer service. You will see!